Welcome to Ascentria Care Alliance! What does "Ascentria" mean? We define it as "rising together." At Ascentria Care Alliance (formerly Lutheran Social Services of New England), we are called to strengthen communities by empowering people to respond to life’s challenges. Our faith-based legacy remains the heart and soul of our mission, vision and values. To break the cycle of poverty, and build thriving communities where everyone has the chance to achieve their full potential, regardless of background or disadvantage. Through our Equipped to Thrive holistic care model, we are focused on providing wrap-around services that empower vulnerable individuals and families in transition to navigate successfully through life's challenges and beyond. LIKE, COMMENT AND SHARE OUR POSTS ON SOCIAL MEDIA! Ascentria is opening doors to new partnerships that will help us have a greater impact on the lives of our clients and the communities we serve. We're engaging with faith communities, businesses and nonprofits, to achieve in collaboration much more than we could achieve alone. Our Client Center on Shattuck Street in Worcester houses many of our programs at one convenient location, so we can better coordinate our holistic services for our clients. Ascentria's bright future would not be possible without the strength and convictions of our past. We're here today because of the foresight and generosity of a pious brewer by the name of Gottlieb F. Burkhardt, whose summer farm in West Roxbury would eventually become the Martin Luther Orphan's Home at Brook Farm in 1872. 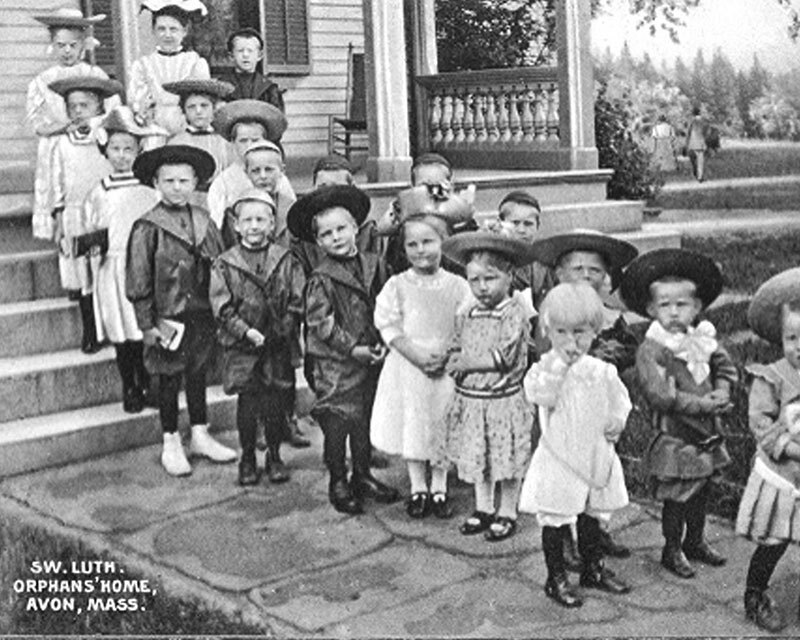 A volunteer organization with a commitment to helping children as well as "aged, weak, and helpless persons," Brook Farm would soon be followed by the establishment of a Lutheran agency to assist lonely seafarers on the busy docks of Boston. Our social ministry had begun! Over the years, our pledge to provide help, healing and hope to those in need expanded throughout New England to include older adults, individuals with disabilities, teens and young families, and even those in search of a better life in a new land. By 1992, the agency had a new name, Lutheran Social Services of New England. Today, Ascentria Care Alliance continues its legacy. Ascentria is a member of Lutheran Services in America (LSA), the national umbrella network of Lutheran social ministries that together comprise one of the nation's largest charities. Ascentria also is affiliated with the Evangelical Lutheran Church in America (ELCA) and is a recognized human care agency of the Lutheran Church Missouri Synod (LCMS).